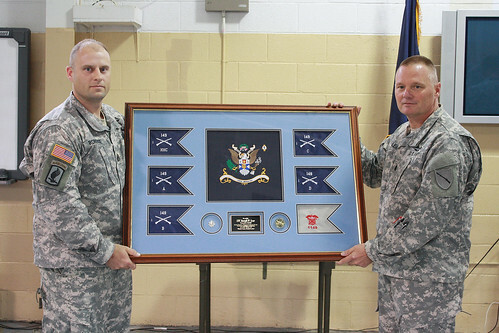 BARBOURVILLE, Ky. — Lt. Col. Thomas Black took charge of of the 1st Battalion, 149th Infantry during a change of command ceremony in Barbourville, Oct. 3. Black succeeded Lt. Col. Joseph Lear who has led the battalion since 2013. Brig. Gen. Charles Jones, Kentucky’s deputy adjutant general, joined friends, family members and Soldiers of the battalion in welcoming Black and congratulating Lear on a successful run as the unit commander. In addition, five former battalion commanders and one former command sergeant major of the unit were in attendance, a testament to the legacy of the Mountain Warriors within the Kentucky Guard and the commonwealth. Black has served in the Kentucky Guard for more than 30 years, most recently as the operations and planning officer for the 75th Troop Command. As a traditional Guardsman, Black owns and operates a real estate firm in Southern Kentucky. Lear, who called the chance to lead the battalion the best job he’s ever had, will move to the 75th TC as an operations officer. Black said the battalion has a legacy of great leadership and the last two years were indicative of the same under Lear. 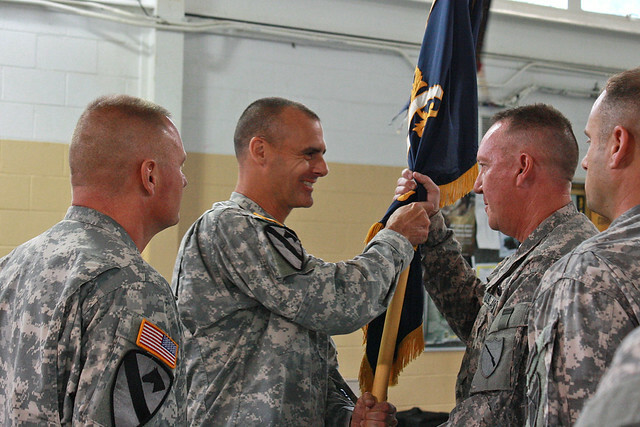 In addition to the change of command, the Mountain Warriors also celebrated one of their own with a prestigious honor. Sgt. 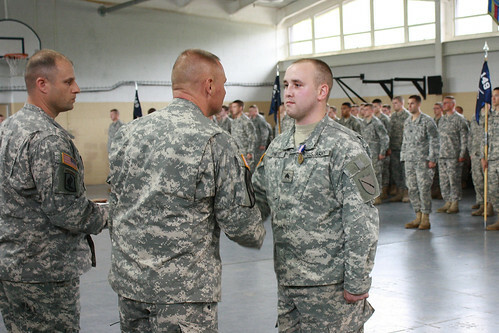 Daniel White was presented the Soldier’s medal for his actions in helping to save the life of a motorist involved in a fiery automobile accident in January of 2014.